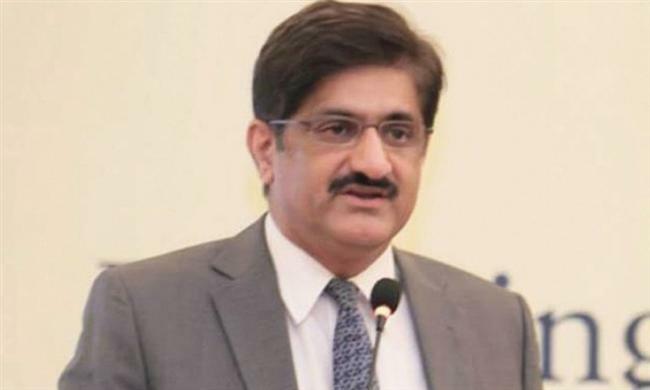 KARACHI: Sindh Chief Minister Syed Murad Ali Shah on Friday said that Sindh produces more than 2,700 MMCFD of gas but only gets 1,000 MMCFD which is not only a violation of Article 158 of the Constitution but it has rendered thousands of industrial workers and transporters [those dependent on CNG] jobless besides leading to serious problems for domestic consumers. He said this while talking to Federal Petroleum Minister Ghulam Sarwar Khan who met him along with his delegation at the CM House. The chief minister was assisted by Minister Energy Imtiaz Shaikh, CM’s Adviser on Law Murtaza Wahab, Secretary Energy Musadiq Ahmed Khan and Director Energy Tariq Shah. The other delegates were Additional Secretary Dr Tanveer Qureshi, Petroleum Concessions GD Qazi Saleem Siddiqui, Gas DG Shahid Yousaf, Oil DG Jabbar Memon and Mineral DG Mohammad Iqbal. Pakistan Tehreek-e-Insaf (PTI) MPA Haleem Adil Shaikh also attended the meeting. The chief minister, while talking about the priority of requirements of natural gas, said that Article 158 says that the “province in which a well-head of natural gas is situated shall have precedence over other parts of Pakistan in meeting the requirements from that well-head, subject to commitments and obligations as the commencing day”. He said that Sindh produced 26,00 to 2,700 MMCFD daily against which Sindh was being given a quota of 1,000 to 1,100 MMCFD. He added that the gas of industrial captive power plants has been closed. CM Murad, taking up the issue of village gasification, said that 985 schemes were pending with SSGCL from 2008-9 to 2017-18. Apart from that, there was a backlog of 8,522 applications with SSGCL for clearance. Out of 7,718 applications, 50 were for commercial, 288 industrial, 390 captives power and 76 CNG. The chief minister said that Sindh has no representation in OGRA and proposed that there should be four members, including the chairman and each province should be given representation with one member. He also proposed an amendment in the Petroleum Concession Agreement (PCA)/Supplemental Agreement. Syed Murad Ali Shah said that Excise Duty on Crude Oil is imposed under Article 161(1)(b) but it has not been imposed for the last eight years, therefore, the provincial government was facing revenue loss. Federal Secretary for Petroleum Ghulam Sarwar said that the purpose of the meeting was to know the perspective of the provincial government. He disclosed that he would meet with the chief ministers of the other provinces. The federal minister assured the chief minister that the provinces would be given due representation in the federal oil and gas companies. As far as the gas closure was concerned, he said that he would hold a meeting in the SSGCL office to take final decisions.